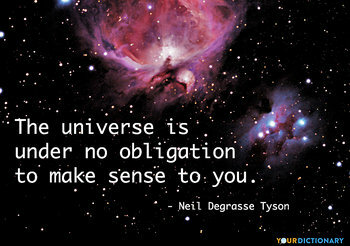 Science gives us a framework for understanding the world around us. Whether you're studying for a career in the sciences or simply want to better appreciate the contributions of scientists throughout history, YourDictionary’s collection of science quotes offers valuable insights. Alas! A scientific man ought to have no wishes, no affections a mere heart of stone. The scientist does not study nature because it is useful to do so. He studies it because he takes pleasure in it, and he takes pleasure in it because it is beautiful.  1909 Science and Method, vol.1, ch.1 (translated by Francis Maitland). When a photon comes down, it interacts with electrons throughout the glass, not just on the surface. The photon and electrons do some kind of dance, the net result of which is the same as if the photon hit only on the surface. It's important that our children are raised to be educated, well-rounded, tax-paying citizens that understand the importance of technology and science. Making legendary scientific discoveries requires an innate sense of curiosity as well as patience and persistence. Scientists can spend years in a lab trying to find the necessary evidence to either support or counter a scientific theory or hypothesis. "It is most important in creative science not to give up. If you are an optimist you will be willing to ‘try’ more than if you are a pessimist," Stanislaw Ulam said. Ulam is best known for his work on the Teller-Ulam design of thermonuclear weapons. If you're someone who struggled with chemistry, biology, and geology in high school, you might feel like the study of science isn't for you. However, science quotations reveal that art is often linked to science in surprising ways. Mathematician and physicist Martin Kruskal is a fan of using paper folding to explain complex concepts to a general audience. "Origami helps in the study of mathematics and science in many ways.... Using origami anyone can become a scientific experimenter with no fuss," he said. Scientists pride themselves on their objectivity, but science has become the center of many modern political debates. 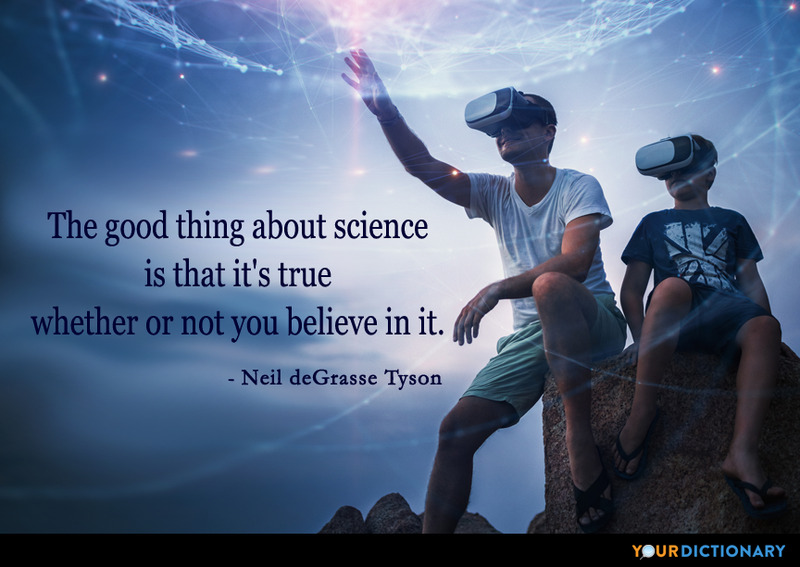 When discussing issues such as climate change with an opponent who questions the validity of your opinion, you can take comfort from the words of astrophysicist, author, and science communicator Neil deGrasse Tyson. "The good thing about science is that it's true whether or not you believe it," he said.